Just like cyclists must be vigilant in making themselves more visible to drivers, pedestrians must also strive to make themselves better seen by motorists. This can be accomplished by traveling on foot during daylight hours only or by walking in well-lit areas. Additionally, pedestrians can wear bright or reflective clothing. This tip goes for both motorists and pedestrians. Before entering an intersection or driving through one, it is important that both pedestrians and drivers alike carefully look both ways. 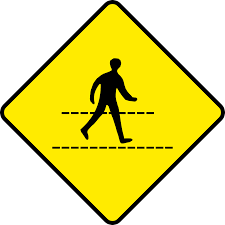 This is especially important for motorists who are driving in areas where pedestrians frequent or where children might be dashing into the roadway (such as residential streets). While distracted driving has received much media attention, distracted walking can also pose an additional risk of suffering personal injury. Pedestrians who are distracted by listening to music, talking on a cell phone or texting may not be as alert to potential dangers around them. Pedestrians who are injured in an accident should promptly discuss their rights with a personal injury lawyer. Contact the experienced, dedicated personal injury and pedestrian accident attorneys at Brownstein & Nguyen.